Mail Unread Menu is a simple menu bar application which can provide you with a quick and easy way to see how many unread email messages are in Apple's Mail. 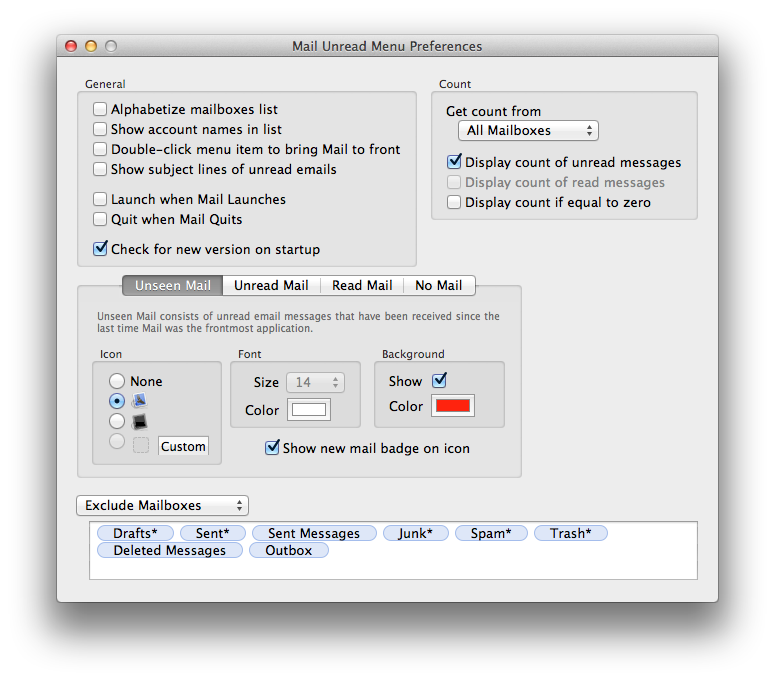 Unlike other menu bar notification applications, Mail Unread Menu is actually a plugin for Mail, which means that the count is instantaneously updated whenever you receive new email or change the status of a message. 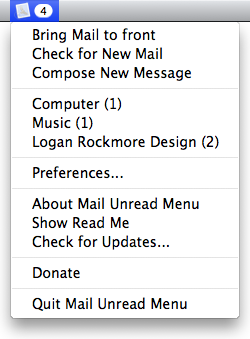 Mail Unread Menu is freeware, and can be used without any restrictions whatsoever. However, your donations help to encourage development of the program and are greatly appreciated. If you would like to donate, you may do so here. Thanks.